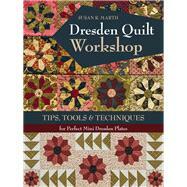 Susan R. Marth has a background in architectural interior design, and today her quilt patterns, books, and templates are available worldwide. As part of her business, Suzn Quilts, she enjoys lecturing, teaching workshops, and designing fabric. She lives in Illinois.